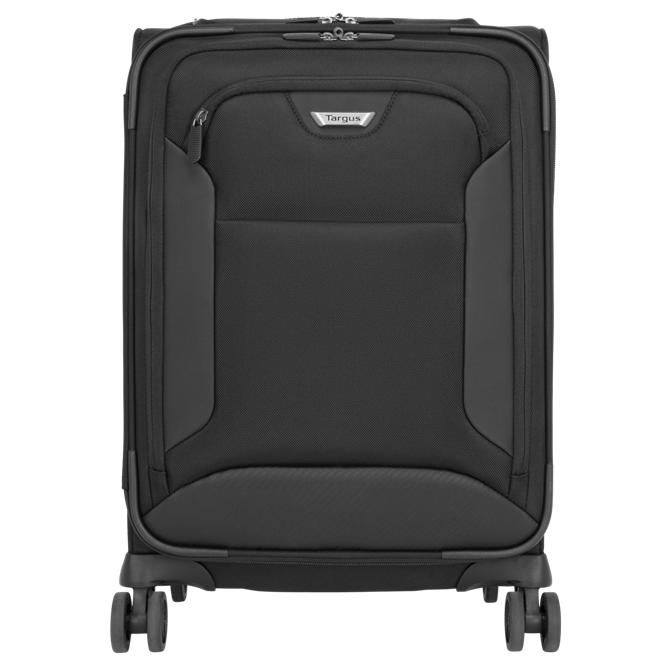 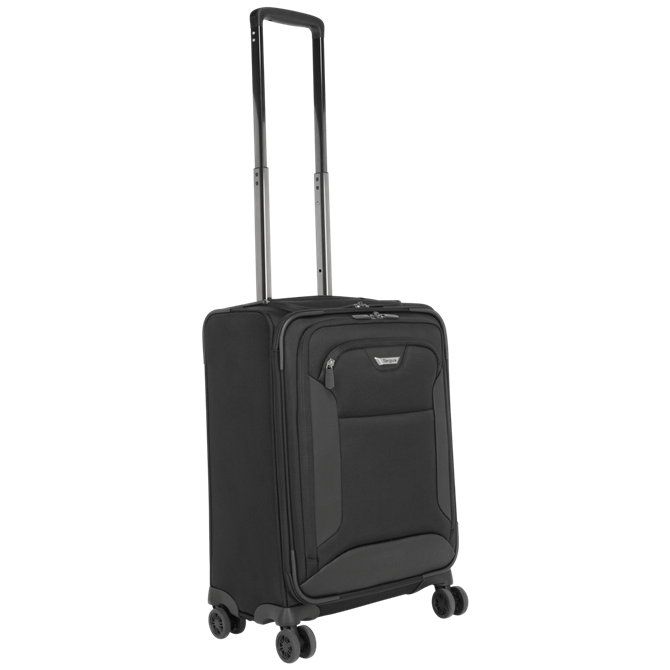 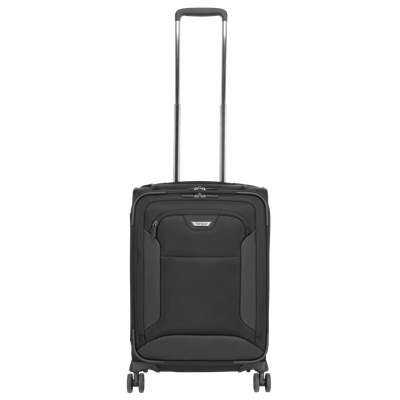 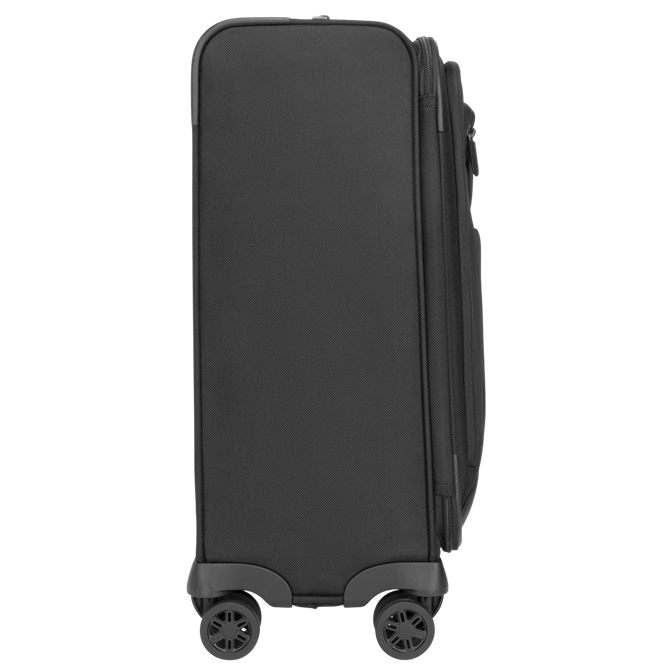 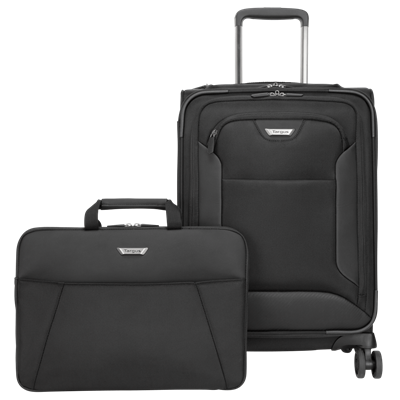 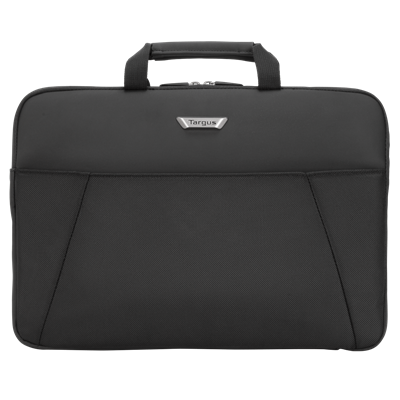 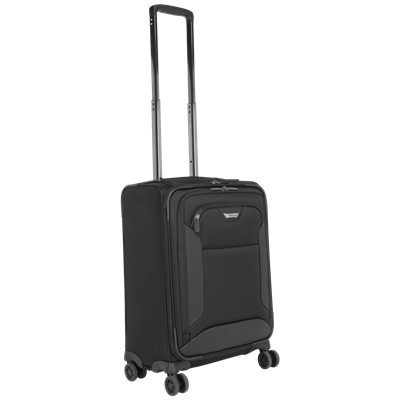 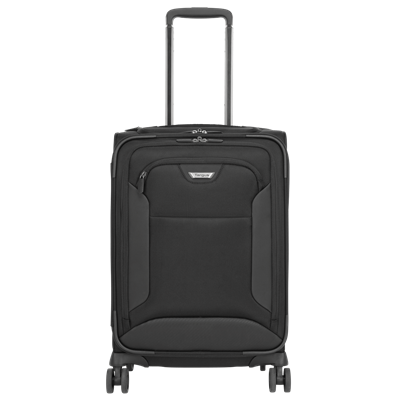 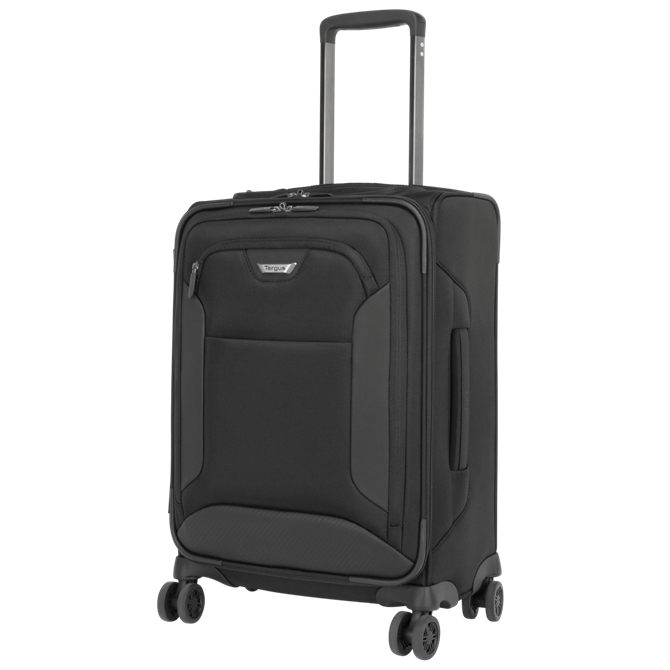 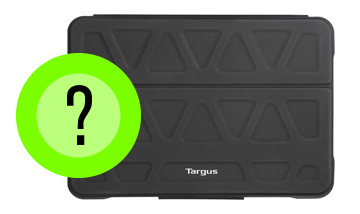 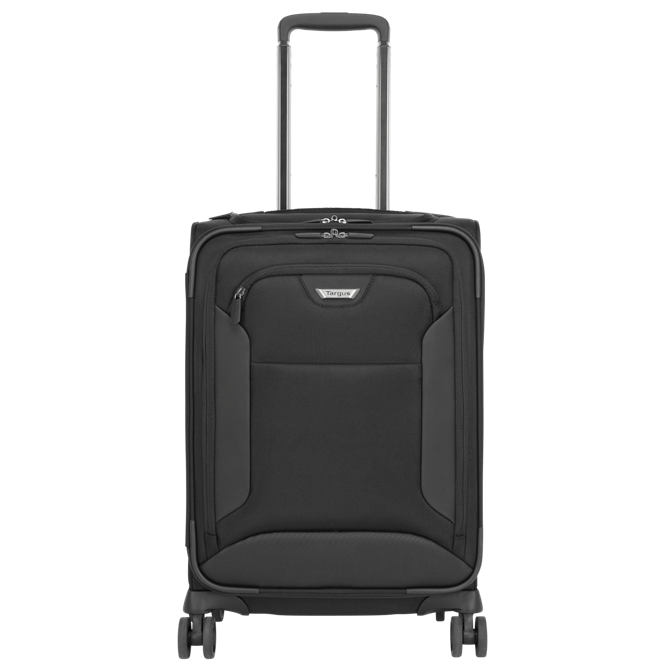 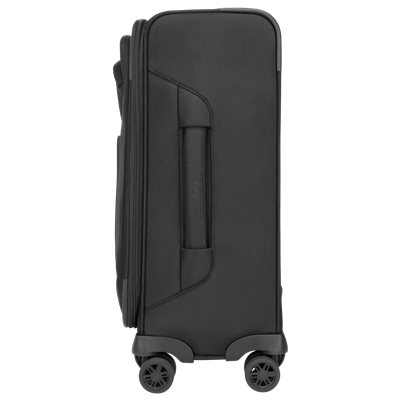 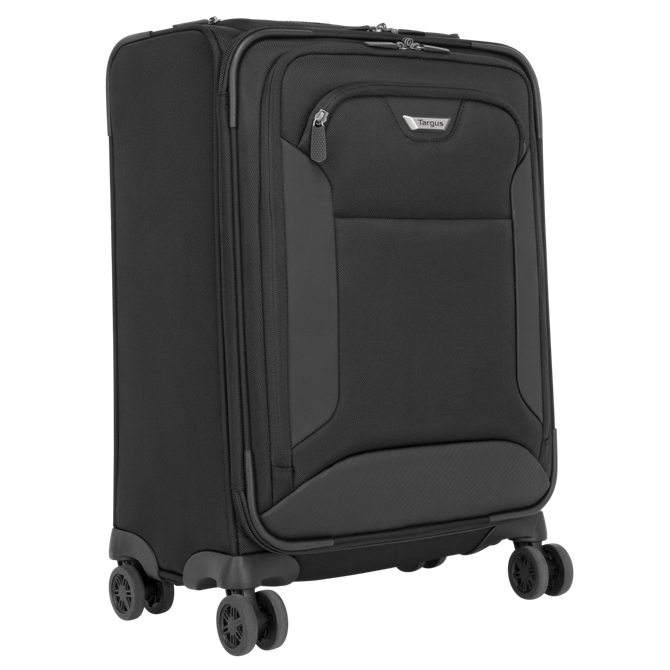 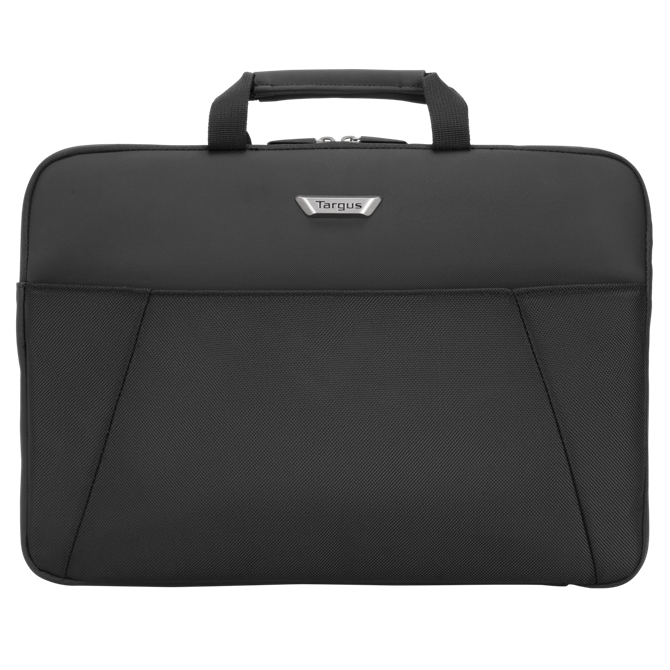 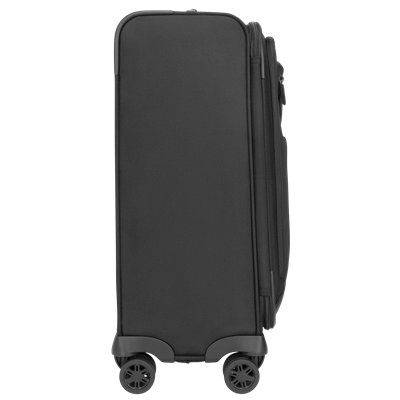 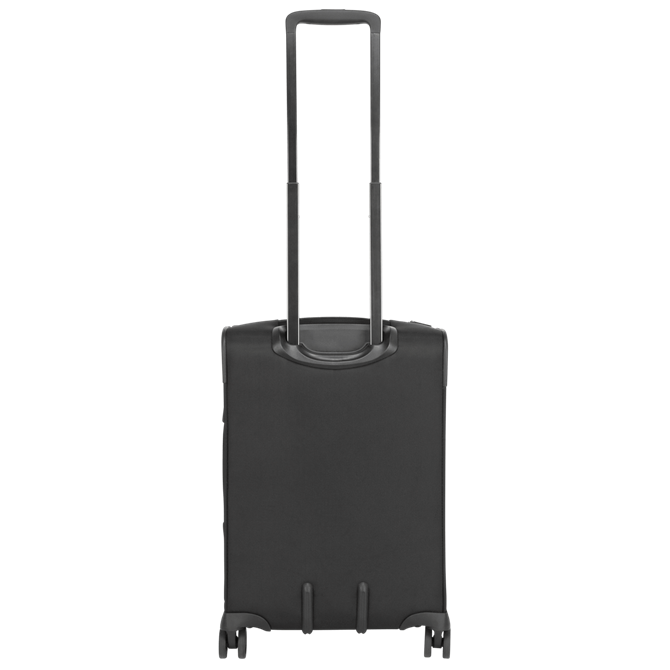 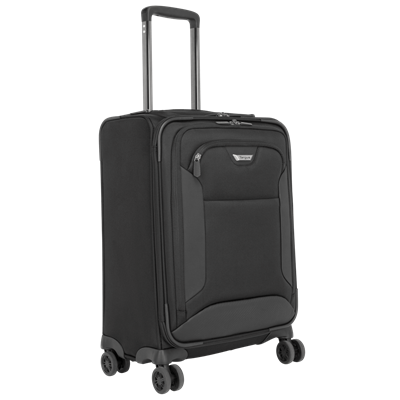 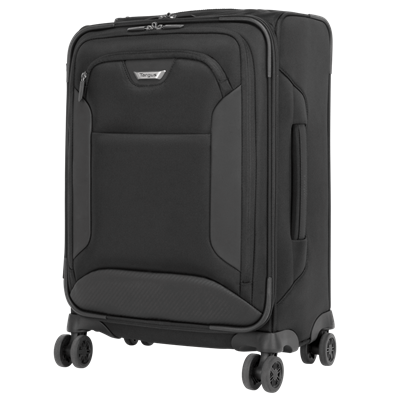 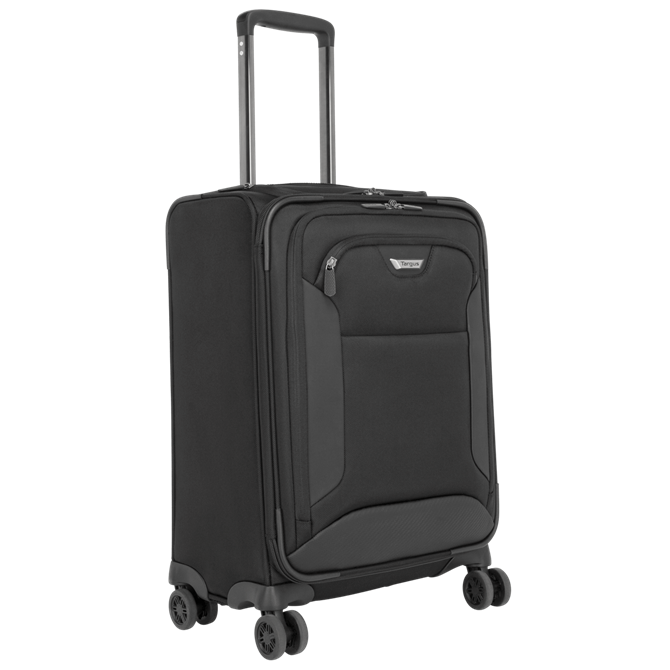 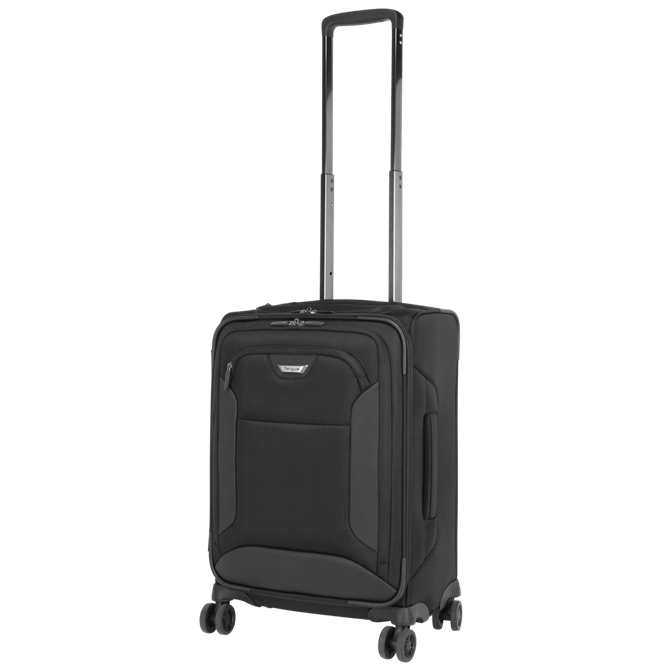 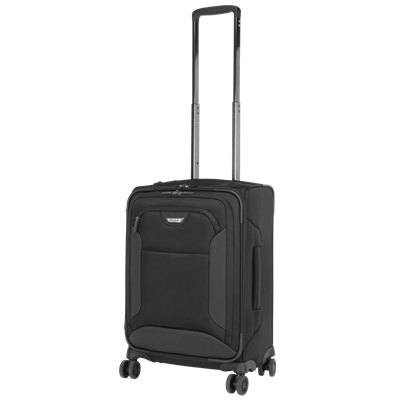 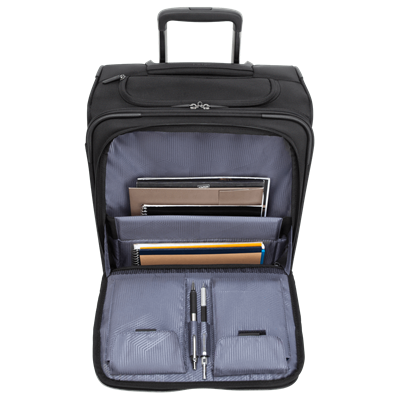 The Targus 15.6” Corporate Traveler 4-Wheeled Roller delivers maximum organization and protection to get you quickly and efficiently from the airport to your meeting. 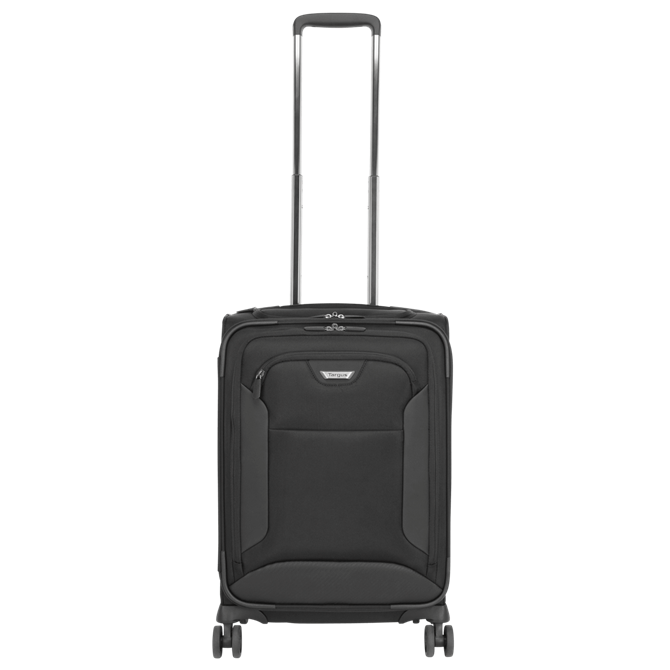 Make travel easier with the 15.6” Corporate Traveler 4-Wheeled Roller. 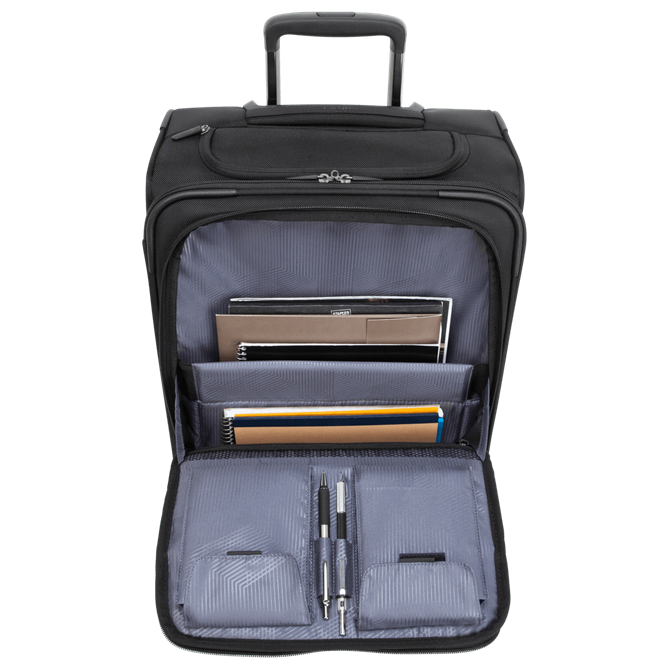 The laptop section converts to a handled sleeve that allows you to zip through security or keep your laptop out while you check your bag. 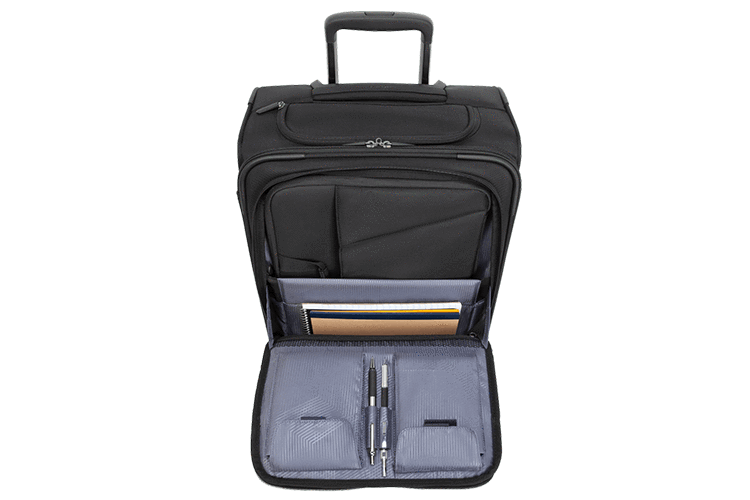 Plus, the waterproof compartment holds a toiletry bag designed to make security checkpoints a breeze. 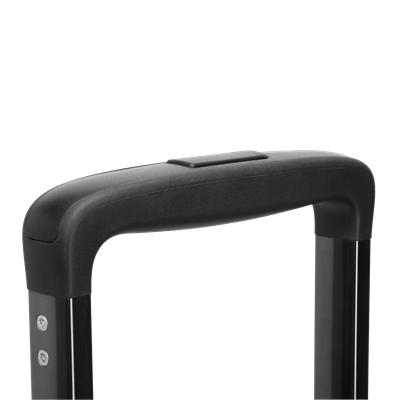 With a 3-stage trolley handle and four durable spinner wheels, you can effortlessly move through airports and up the stairs. Separate spacious compartments for your overnight gear and tech gear keep you more organized. 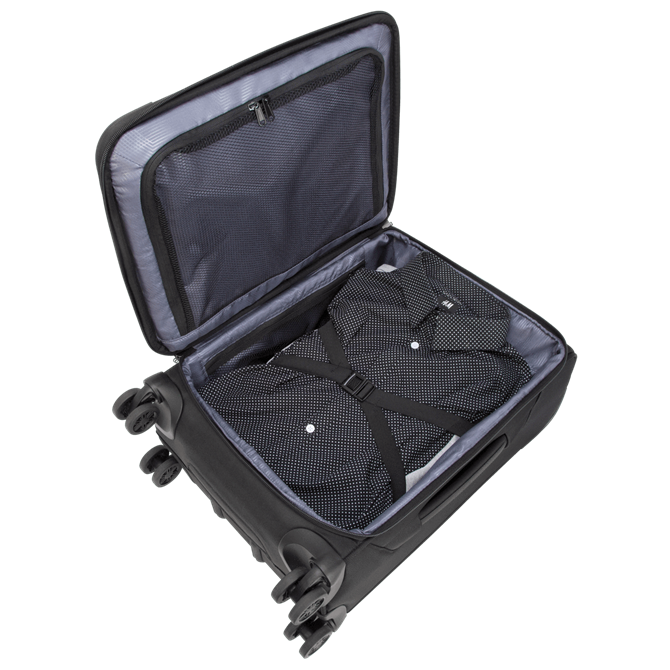 And quick-access front pockets keep your tools at the ready. The durable, sleek construction features protective 1680D military-grade ballistic nylon that resists water and is durable against wear and tear. 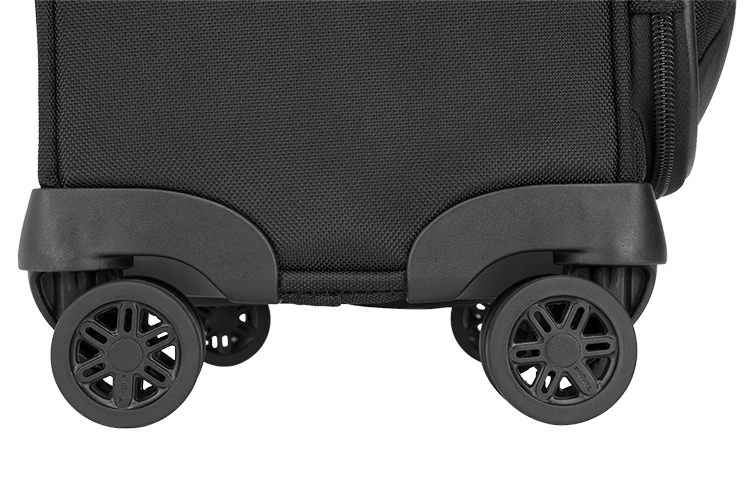 Traveling with four durable wheels that roll in any direction makes it easy to bring your docs and gadgets anywhere. It will glide along beside you when utilizing all four wheels, and it’s just as easy to roll it behind you on two. 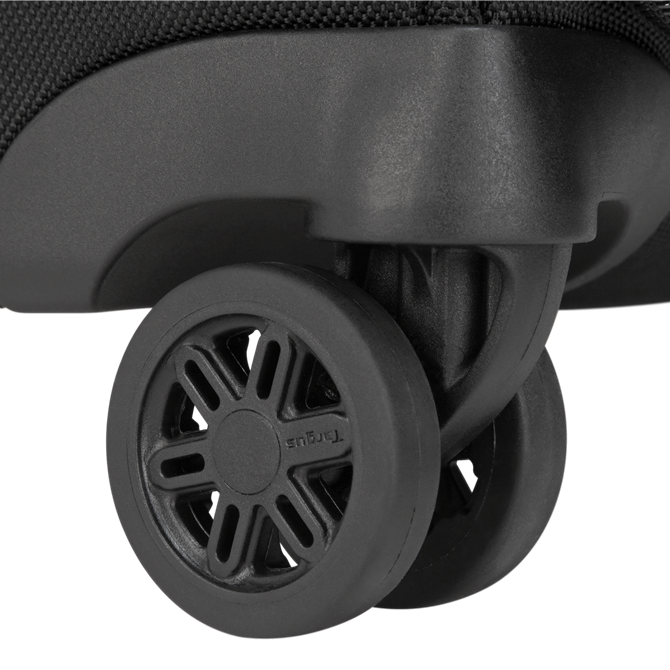 When you are rushing to the gate, you can rely on the durable spinner wheels to glide with you around every corner. 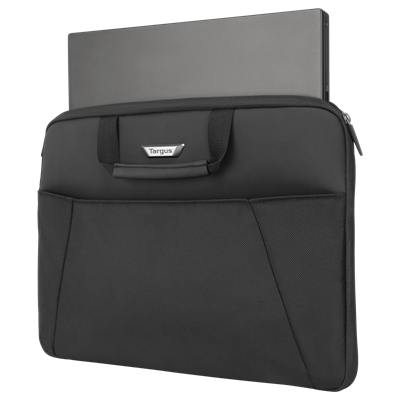 When traveling, you will appreciate the separate laptop sleeve with handle that makes airport security easier and keeps your laptop with you at all times. 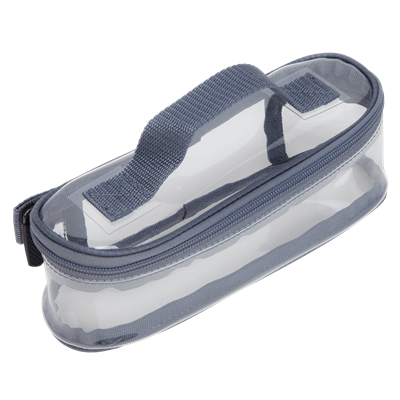 The removable toiletry bag and water-resistant section help to make screening liquids at the checkpoint simpler. 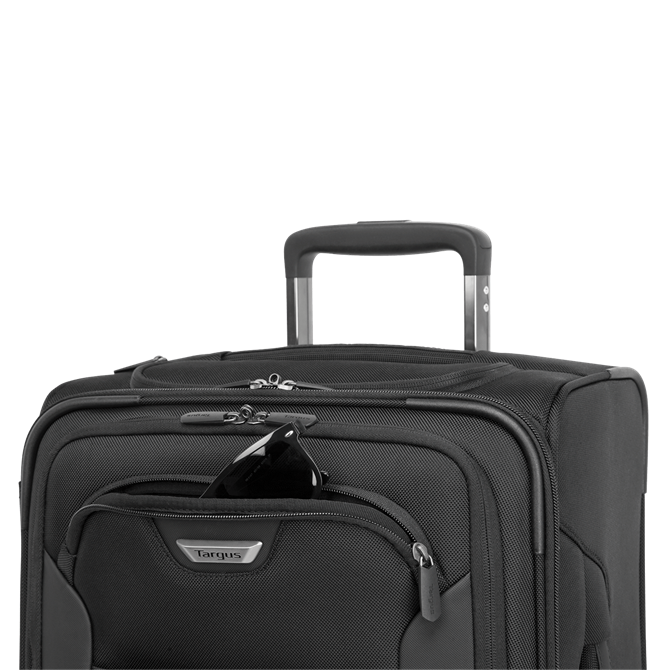 Designed to international carry-on standards, you can reduce your time at the baggage claim and roll right to your next meeting. 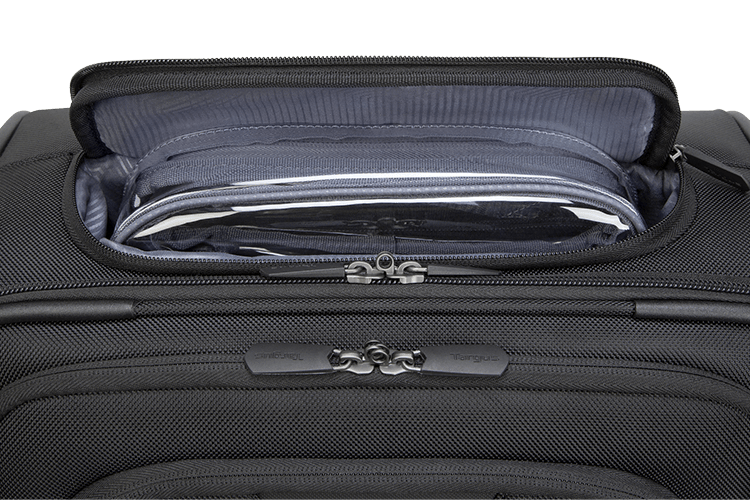 Traveling with multiple bags is cumbersome. 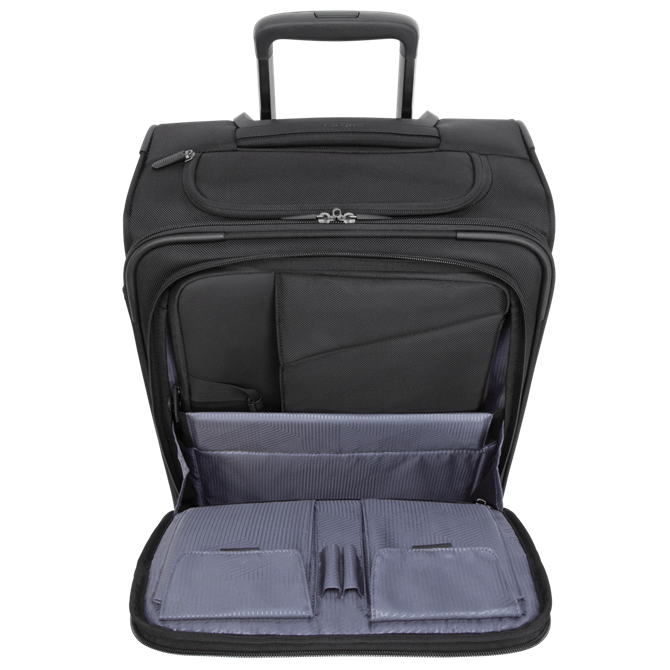 In one standard carry-on case, you can organize all the things you need most. 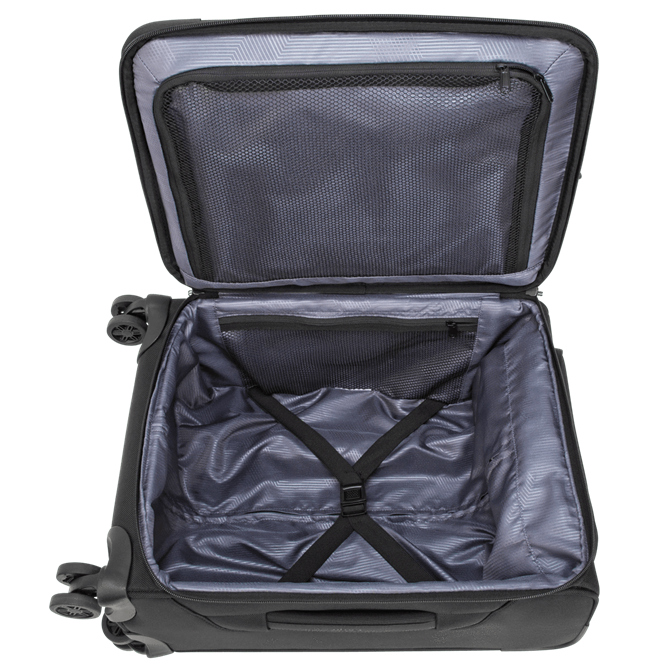 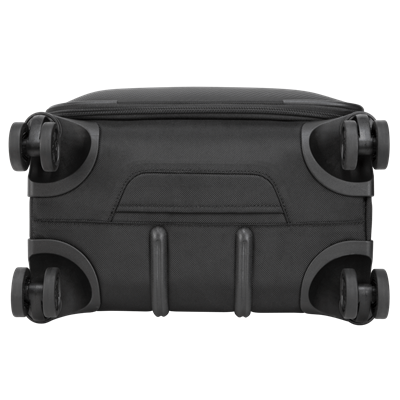 The 15.6” Corporate Traveler 4-Wheeled Roller gives you dedicated compartments for clothing and toiletries as well as your laptop, phone, documents and favorite tech gear.